BUSISWA GIVES BIRTH TO A BOY! Gqom and house music sensation, Busiswa Gqulu and her baby daddy, Katlego Mlangeni have welcomed their first baby boy together into the world. The singer and dancer’s bundle of joy was born yesterday and the happy dad was there to support her. Both parents took to Instagram to share the news of the new arrival with adoring fans. “As we put all our faith in you my lord @kaygee_thevibe thank you for being with me through this journey,” said Busiswa. KayGee, real name Katlego Mlangeni, is a DJ from Tembisa. 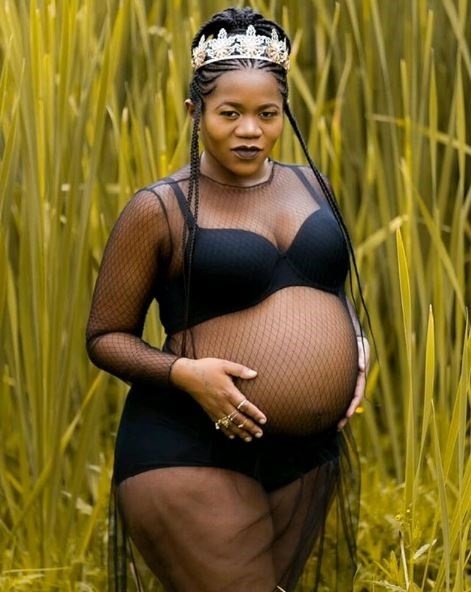 Although Busiswa has never confirmed that he really is the baby daddy, rumours of their love affair have doing the rounds ever since news of her pregnancy broke. A few months ago, Busiswa posted an image of KayGee with the caption, "HEY, Thank you for an amazing weekend. I appreciate you much more than I express. #dzaddy". However, we can now safely assume that he is the father of her child. This is Busiswa’s first born child but KayGee already has a child from a previous relationship.